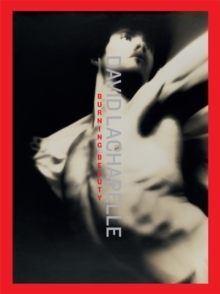 "Burning Beauty" is a comprehensive summary of photographer David LaChapelle, stretching from the early 1980s to 2012. With more than 200 colour illustrations and four essays, it reflects LaChapelle's entire oeuvre. LaChapelle's imagery has the ability no only to attract our gaze with seductive and remarkable bodies, settings and objects in every conceivable and inconceivable constellation; it also has the capacity to incite reactions that charge our seeing with emotions that engender a relationship between the image and its viewer. His imagery places the viewer in the midst of the turbulent visual culture of the past quarter-century and invites us to a blend of passion, comedy, exaggeration and critical reflection. Published to accompany the exhibition "Burning Beauty" at The Swedish Museum of Photography in Stockholm, this book offers a unique insight in one of the most important contemporary artists in the world.